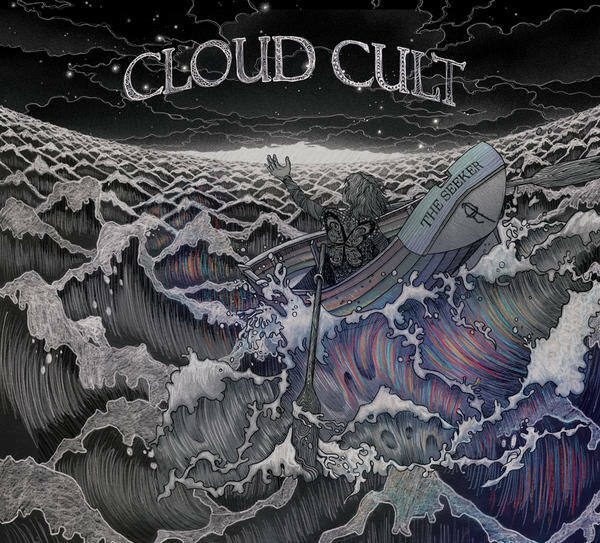 "The Seeker" is Cloud Cult's newest album, released February 12, 2016. The album features 13 new Cloud Cult songs including the radio singles "No Hell", "Through the Ages", and "Days to Remember". It debuted on the college radio charts at #4 (Most Adds) and Entertainment Weekly calls it a "must listen". "The Seeker" is also a feature length film due out in late 2016, written by Cloud Cult and directed by Jeff D. Johnson. The film stars Alex McKenna and Josh Radnor, and the music is written and performed by Cloud Cult. "The Seeker" is a story of Grace, a daughter whose idyllic life is turned upside-down by immense tragedy. As she grows older, her cynicism and apathy towards her new reality is challenged by a reminder from the past that sets her on a pilgrimage that will define her. Somewhere between poignant and funny, where good advice, mythology and laughter all seem to collide, The Seeker finds that acceptance and love offer the real answer. Throughout, the troupe pair twanging banjo with dainty piano, cello with percussion and anthemic chants with rhythmic clapping while laying out their uplifting message. exlaim!